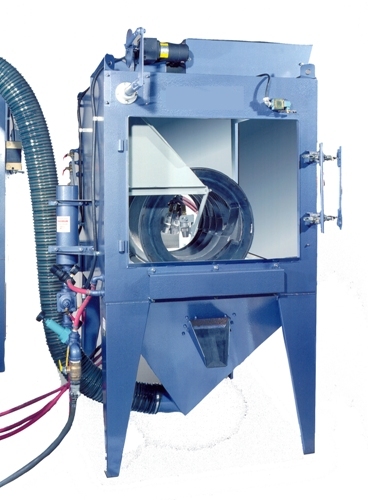 Viking manufactures a full line of wash systems, from small tumble belt and basket washers to rotary table units all the way to large flow through degreasers that utilize a chain belt conveyor system to carry the work pieces through the washer. Custom machines can also be engineered to tailer fit your specific cleaning application. Heavy-duty cabinet construction, high powered sealless pumps and insulated reservoir are just a few of the standard features of Viking wash equipment. Whatever the industry or part requirements, Viking can provide the right wash systems at the right price. 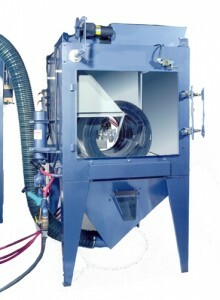 Viking Series Parts Washers are ideal for process cleaning of any size part in the remanufacturing process. Viking Styles of Parts Washers are: Cabinet Washers, Flow-Through Washers, Rubber Belt Tumble Belt, Tumble Basket Washer, Aqueous Parts Blasters, Propane Cylinder Washers, and Agitating Parts Washers. One of the best wash systems on the market! Vibratory equipment utilizes fine abrasive material (media) and a special process where vibrating causes the media to scrub parts clean. These wash systems are an economical way to batch-process small quantities of parts to remove oils and greases. The ceramic or aluminum media is gentle enough to protect delicate parts, however is tough enough to de-burr and polish. 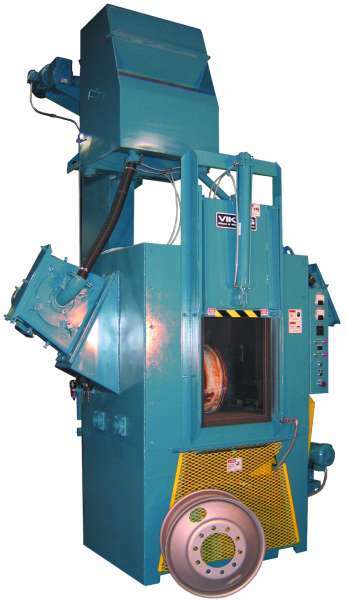 Air Blast Machine utilizes Glass Beads for quickly cleaning and prepping the surfaces of metal parts without significant metal removal. 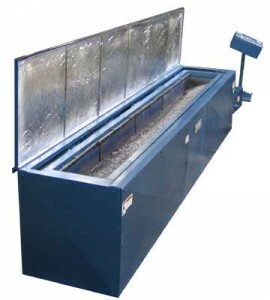 These wash systems utilize air to propel the blast media onto a part. 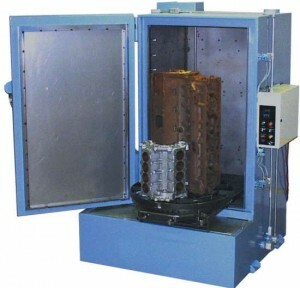 Machine styles include automated systems, manual cabinet systems, and even entire blast rooms.